Neverending fun is guaranteed with our Find the Pair Games! The best find the pair free games are waiting for you at Miniplay, so 3... 2... 1... play! 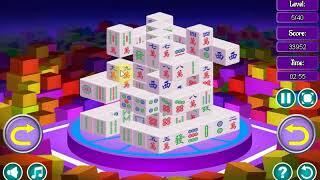 In this version of classic mahjong you can enjoy all the playability of the traditional puzzle. In this flash classic you'll have to squeeze your brain. Solve this Asian puzzle! 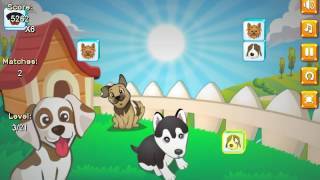 Enjoy classic Mahjong with animal tiles. Match them and make them disappear to complete a level. Do you like playing Mahjong? 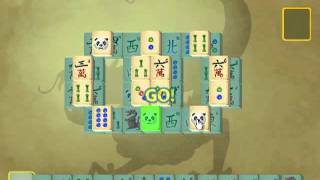 Squeeze your brain with Mahjong Connect - a Chinese classic with a twist! Complete the stages by matching similar tiles until you clear them all. This version of classic Mahjong has really strange tiles. Pay attention and solve the puzzle in as little time as possible. In this Mahjong game with zodiac tiles you'll have to match them all in each level. Be careful your moves are limited. 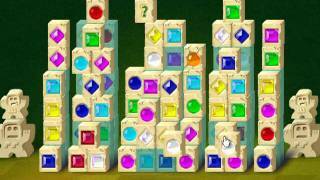 Do you enjoy clearing difficult puzzles? Discover the classic Chinese solitaire and start matching similar tiles in couples. Put your brain to test! Do you like playing mahjong? Squeeze your brain with this Chinese game! This monstrous version will challenge you in every couple-matching stage! Do you like puzzles? Enjoy a classic Chinese solitaire game -- match similar tiles by couples and make them disappear. Squeeze your brain and try your best! Do you like playing mahjong? Discover the daily puzzles! Squeeze your brain with this Chinese classic -- match similar tiles in order to clear the board in as little time as possible! Play the Mahjong-like card game and relax with soothing music and beautiful artwork. Match pairs, clear the table and collect stars! The ruler of the Sweet Candy Kingdom is hungry! Match similar candies to feed the King in this sweet version of classic mahjong. Discover this new version of classic mahjong and put your brain to test! Clear every stage by matching couples of similar tiles. Squeeze your brain playing this ancient Chinese game! 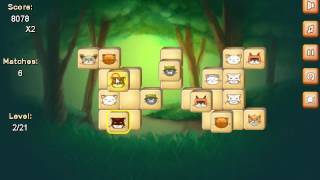 Complete the stages by matching couples of similar tiles and making them disappear from the board. Discover this new version of classic mahjong! Complete the levels by matching similar tiles in couples. Can you make them all disappear? Discover this new version of classic mahjong and squeeze your brain with the famous Chinese game! Manage to complete the stages by matching similar tiles all over the board. Try to match every tile and clear this unique 3D version of classic mahjong. Squeeze your brain to complete this Asian puzzle! 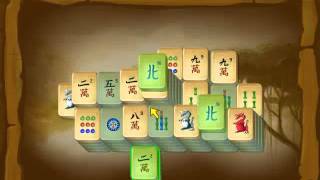 Try to match every tile and make them disappear in this children's version of classic mahjong. Squeeze your brain and complete this Chinese puzzle! Do you like playing Mahjong? Squeeze your brain with this version of the Chinese classic set in Ancient Egypt! Match couples of similar tiles in order to make them disappear from the board. Pay attention to the screen and clear the stages as fast as possible! Squeeze your brain with this Chinese classic set in Ancient Egypt! Complete each grid by matching similar tiles until they all disappear. Three dragons wreak havoc over the empire, young Kwazi must use an ancient set of Mah Jong tiles to restore balance. Enjoy sweeping animations as you help Kwazi journey through the Orient, meet wise animal guides, and use an amazing array of special tiles to solve tricky Mah Jong style puzzles. Mah Jong Quest also features classic-style and puzzle-style play modes. Look for matching tiles and make the pairs disappear in this 3D version of classic mahjong. Squeeze your brain trying to complete this Asian puzzle! Have you ever played Mahjong? Squeeze your brain with this Chinese game... Try to complete each level by matching similar tiles. 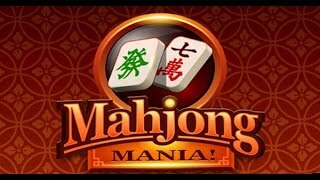 Enjoy this fun Mahjong game! Complete the stages as fast as you can by matching similar tiles. Do you like playing mahjong? Squeeze your brain with this Chinese game... Try to clear all the stages by pairing similar tiles. 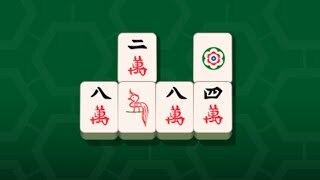 In this mahjongg game, the tiles are Yu-Gi-Oh-themed. Match as many as you can until you clear the board. There are several layouts available, such as classic, arena, hexagon, hole, pyramid and ring. In this Naruto-themed mahjong game you just have to look for matching pieces and relax! Help this waitress match all the tiles on the Mahjong board in the burger bar so she can finish her shift. In this new version of classic mahjong you'll have to squeeze your brain in order to match all similar tiles. This flash mahjong game is a classic. Squeeze your brain and match similar tiles to make them disappear. 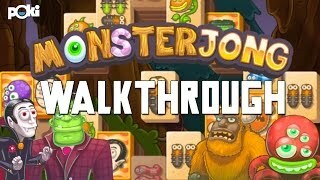 Do you like squeezing your brain in strategy games? Match all the tiles in this Mahjong game. Try to match the couples and make them disappear. This game is a mix of Memory and Mahjong. It's a good day to squeeze your brain with this Chinese game. The tiles are awesome.